Oster 6-Cup Blender Just $43.99! Down From $80! PLUS FREE Shipping! 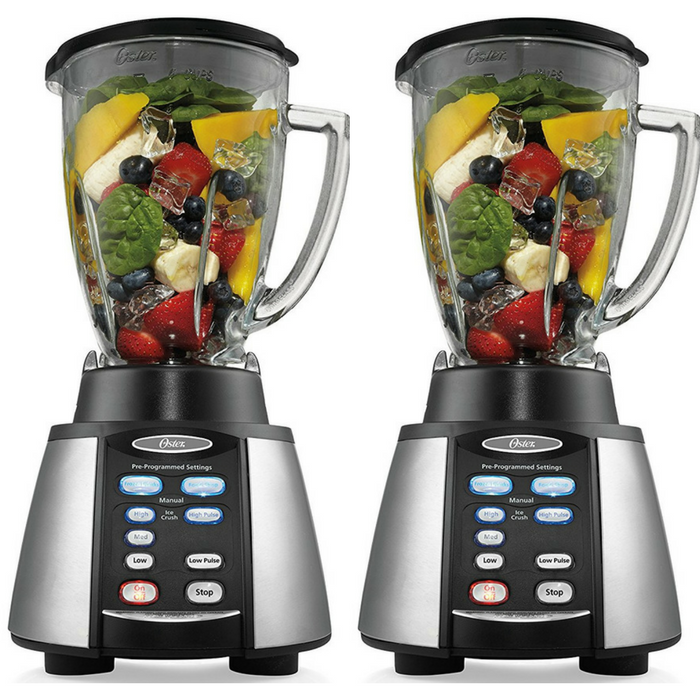 You are here: Home / Great Deals / Amazon Deals / Oster 6-Cup Blender Just $43.99! Down From $80! PLUS FREE Shipping! Hop over to Amazon and get Oster 6-Cup Blender for just $43.99 down from $79.999 PLUS FREE shipping! Get ready to blend a variety of delicious food and tasty beverages! This Oster Blender is made in North America, and backed by the superior quality and power of All-Metal Drive. The two connecting pieces are made of metal rather than plastic to last longer. This gives you a durable blender that will serve you time and time again for all your entertaining needs.